Community leaders asked for help in finding a pregnant woman who has been missing for more than a week, offering a $10,000 for information about her whereabouts. LaToyia Figueroa, 24, is five months pregnant and has a 7-year-old daughter, and friends and relatives said she would never abandon the girl voluntarily. 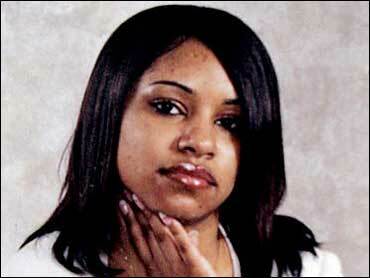 She was last seen walking from a friend's house in Philadelphia on July 18 after going to a doctor's appointment. Police said she remained missing Thursday and have declined to speculate about what happened to her. Her cell phone has gone quiet since that day and her bank has not recorded any transactions, officials said. Christine Lewes, a childhood friend and high school classmate, said Figueroa was very responsible and had never missed shifts at her restaurant job until her disappearance. "It's unusual for her to do something like this. She's not the type of person to just disappear," Joseph Taylor, an uncle, said. "So far, there's nothing that gives me hope, from what I'm hearing." Police said the father of the unborn child has been cooperating with investigators. Police said they do not have suspects or a motive. Another uncle who is a police officer, Jose Figueroa, said Wednesday, "It's hard to see a young lady her age go missing. It's hard to imagine a young lady of 24 just disappear out of thin air." The Citizens Crime Commission of Delaware Valley offered the reward on Wednesday.